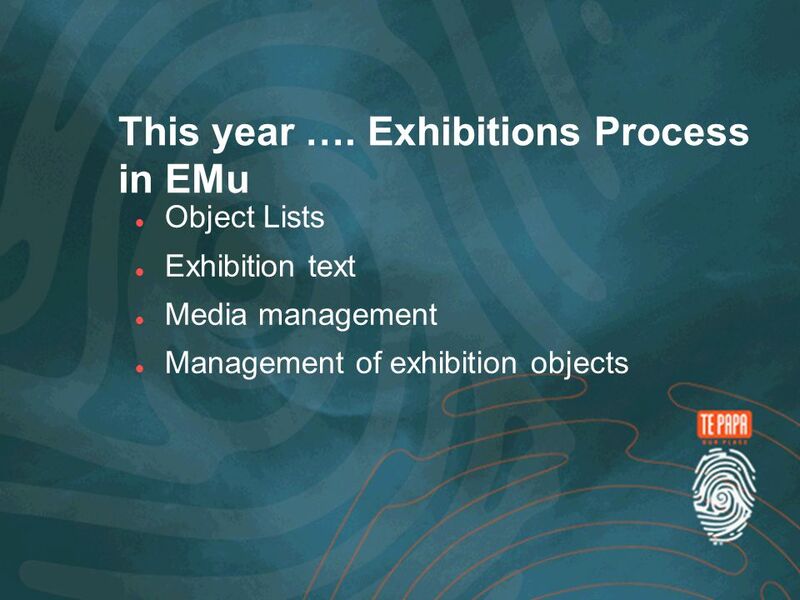 EMu at Te Papa…… One Year on Philip Edgar Manager, Collections Information Department Museum of New Zealand Te Papa Tongarewa. 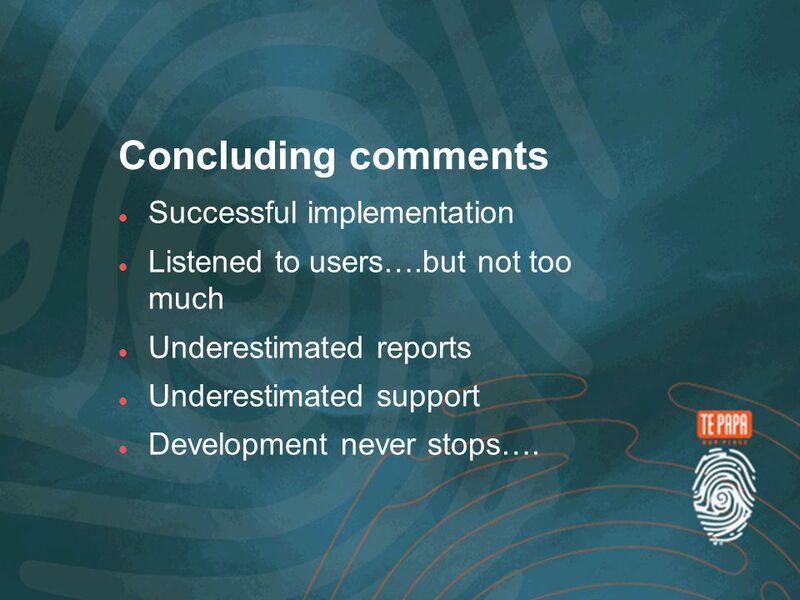 21 Concluding comments Successful implementation Listened to users….but not too much Underestimated reports Underestimated support Development never stops…. 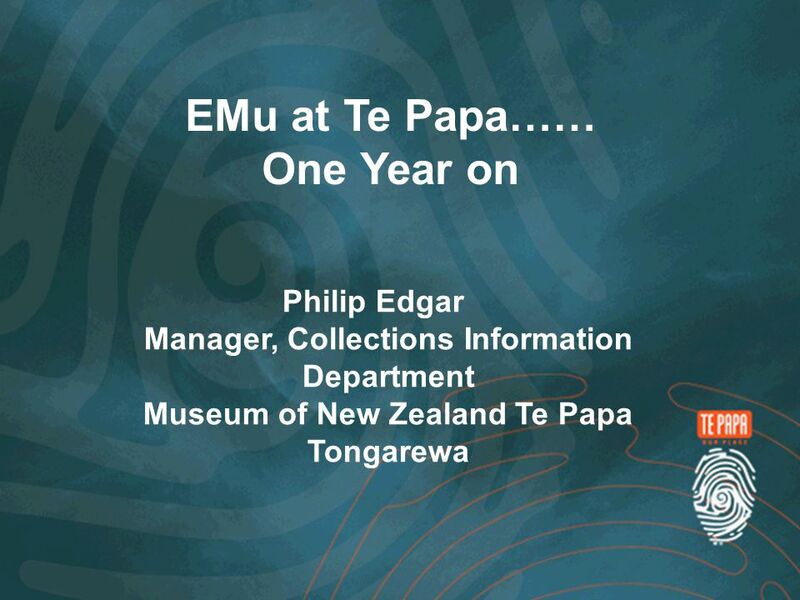 Download ppt "EMu at Te Papa…… One Year on Philip Edgar Manager, Collections Information Department Museum of New Zealand Te Papa Tongarewa." 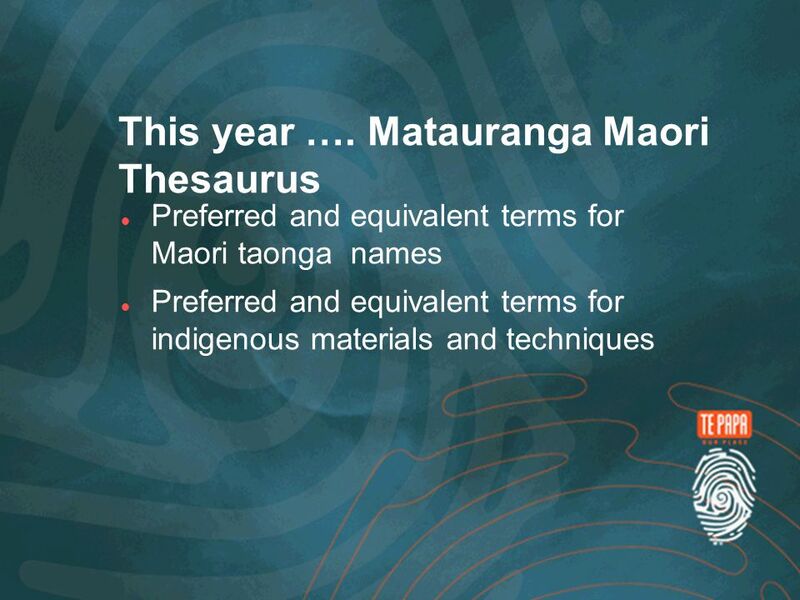 Support.ebsco.com Student Research Center with Australia/New Zealand Reference Centre Tutorial. 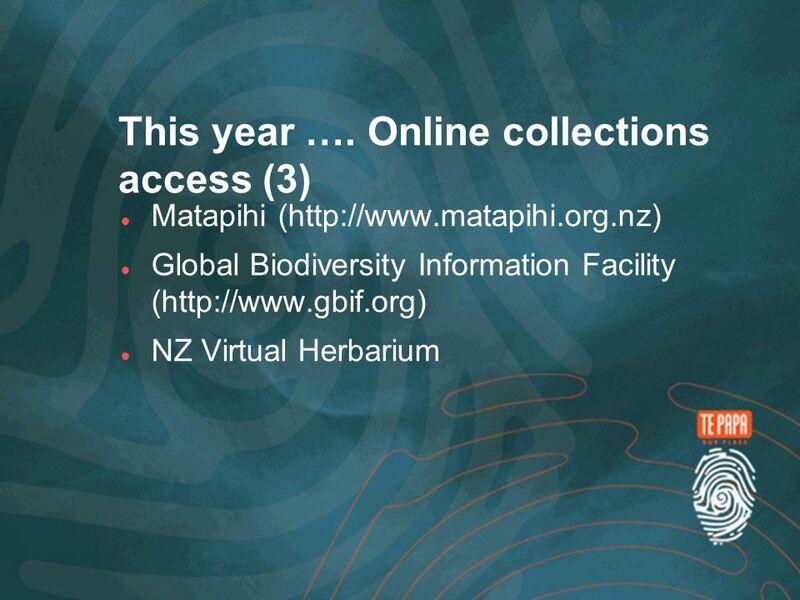 National Library of New Zealand : strategies for interoperability: metadata projects and activities Karen Rollitt Douglas Campbell DCMI Localisation and. 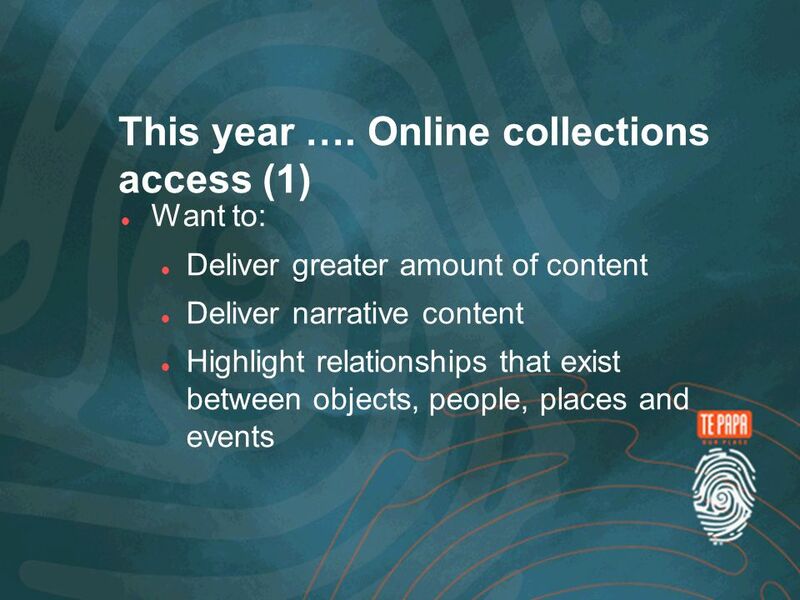 Catherine Worrall Slide Library Co-ordinator, University College Falmouth. 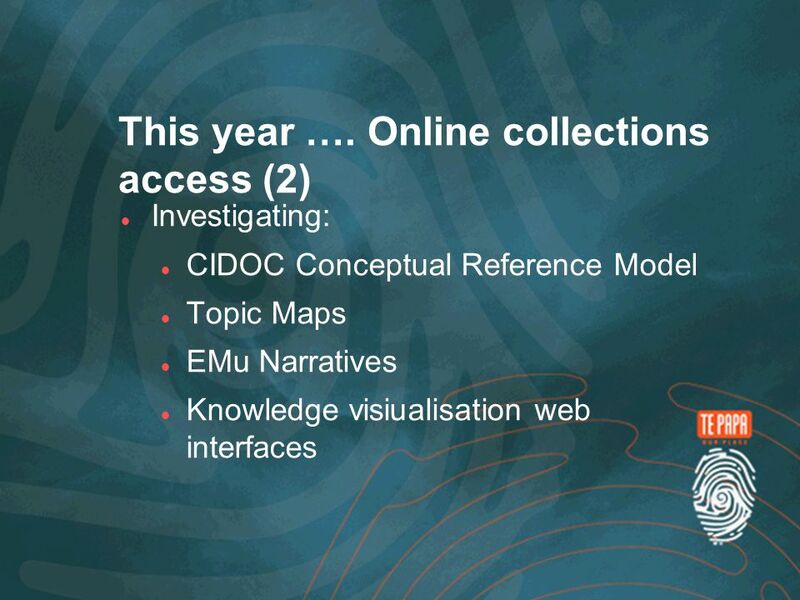 Vision, Video and Graphics 2003, 10-11th July 2003 Digitisation to Presentation Building Virtual Museum Exhibitions Manjula Patel, Martin White, Krzysztof. 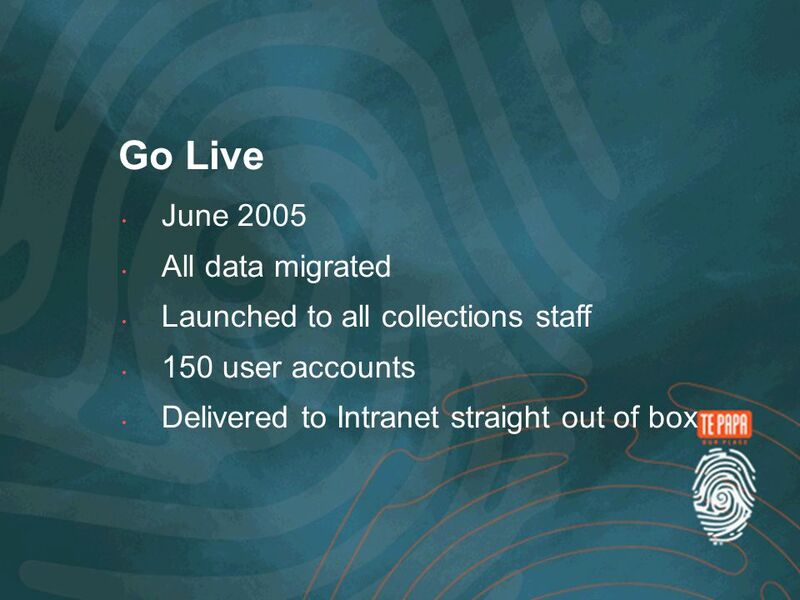 A year (or so) after "go- live - where to now ? Robin Green Registrar Lancashire County Museum Service. 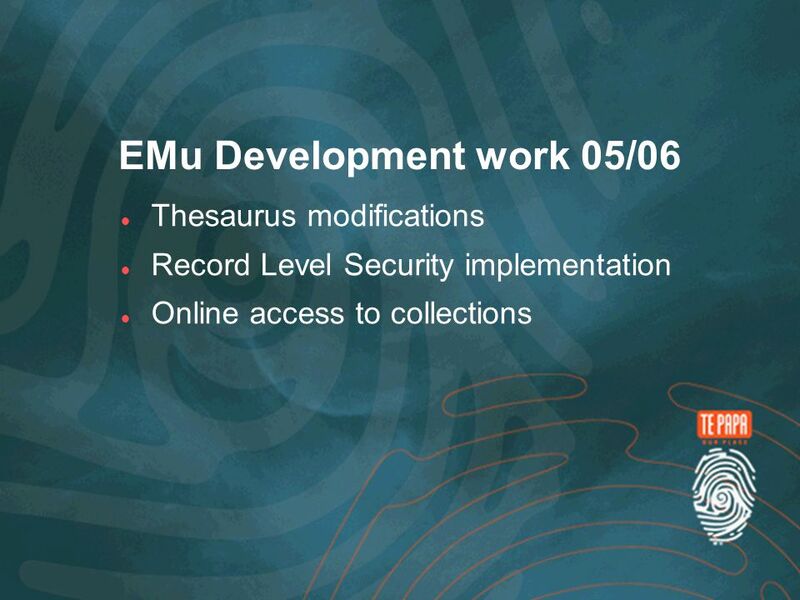 EMu, Collections Online, and the Adkin Diaries: Using existing platforms for transcription. 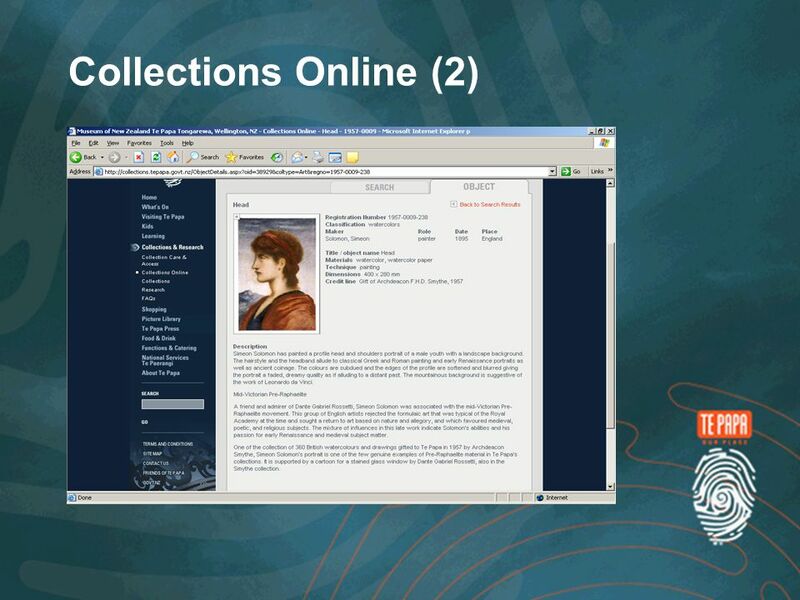 Carol Stevenson Collection Information System Manager Museum. 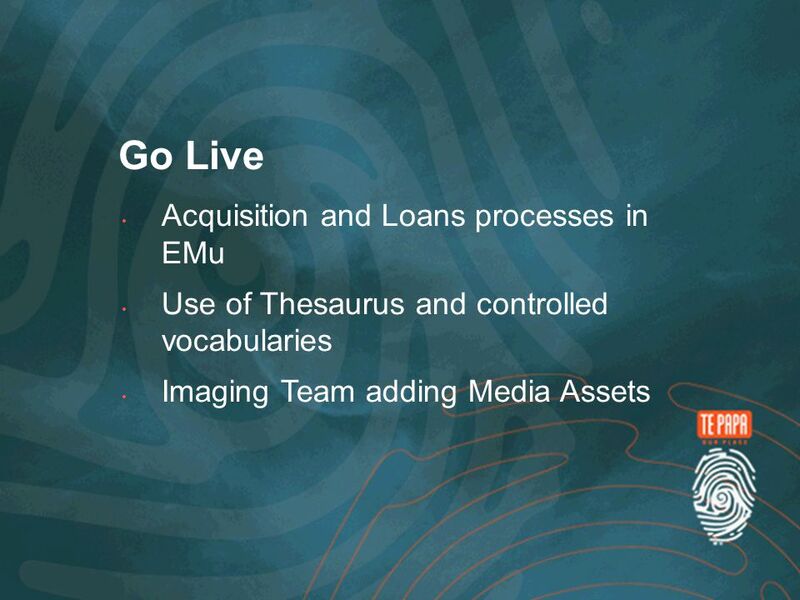 1.Requirements, specifications, release 2.Exhibition test 3.Customisation 4.Roll out – changing work processes 5.Success 6.Looking forward 7.Questions? 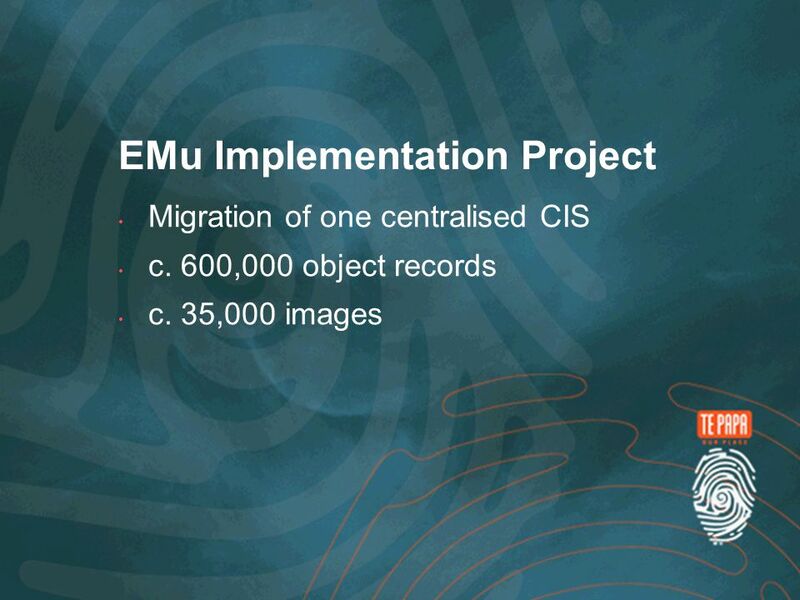 Access and Operations Transforming the University of St Andrews Photographic Collection KE EMu European User Group Meeting April, 2012. 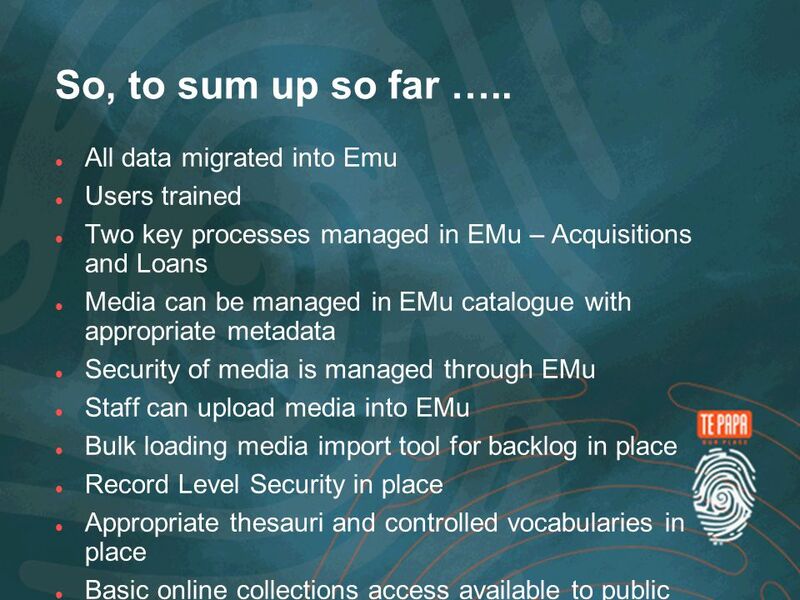 Collections Management 2 September 2005 EMu International Roundup! Yo! 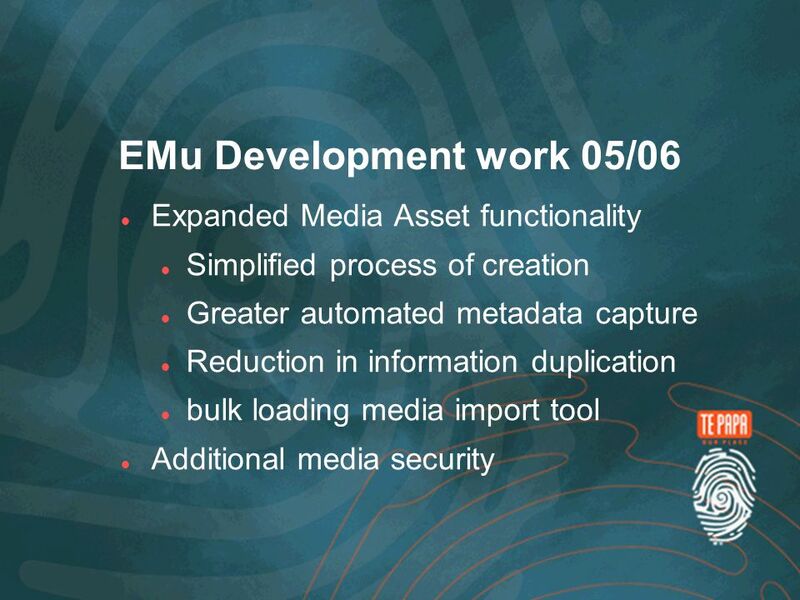 Listen up Emu Users! Alan Brooks KE Software. 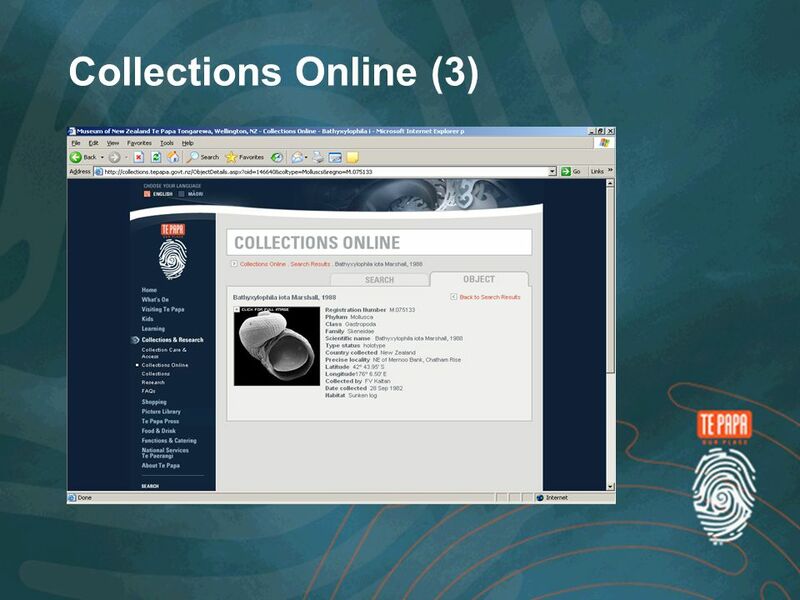 Collections Management Museums EMu on the Web – Past, Present and Future EMu on the Web Past, Present and Future Alex Fell KE Software. 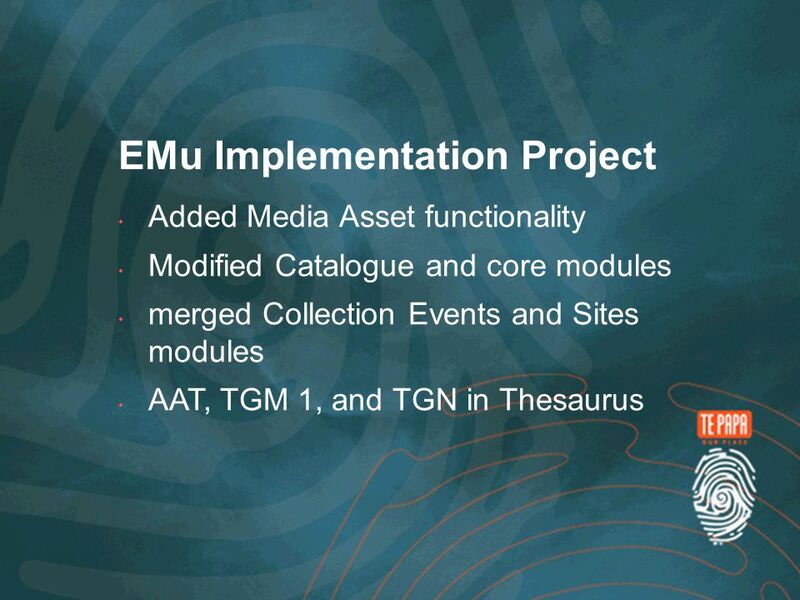 EMu Support A presentation by Giselle Stanton Collection Information Manager- Standards and Support Collection Information Services The Museum of New Zealand. Case Studies KE Projects around the world Alan Brooks KE Software. 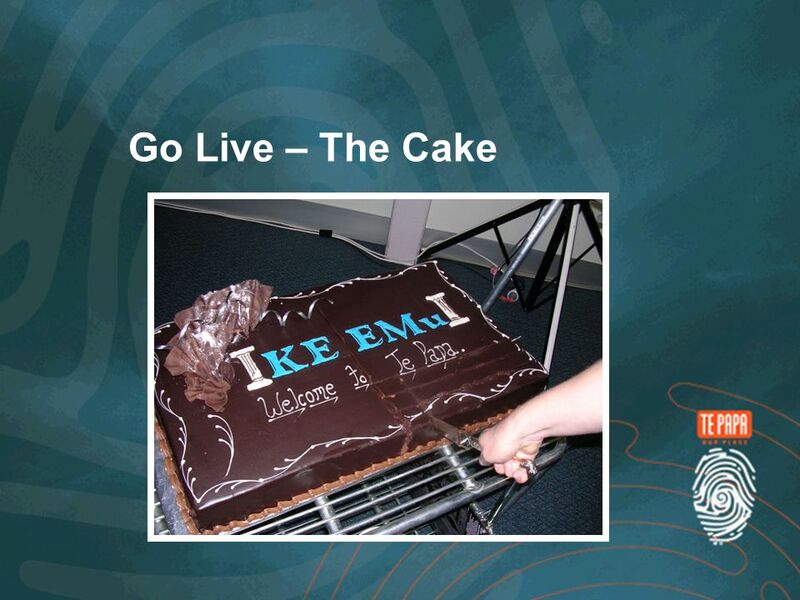 Case Studies KE Projects around the world Ian Brown KE Software. Publishing exhibitions using KE EMu 4 October 2005 Julian Tomlin Head of Administration. 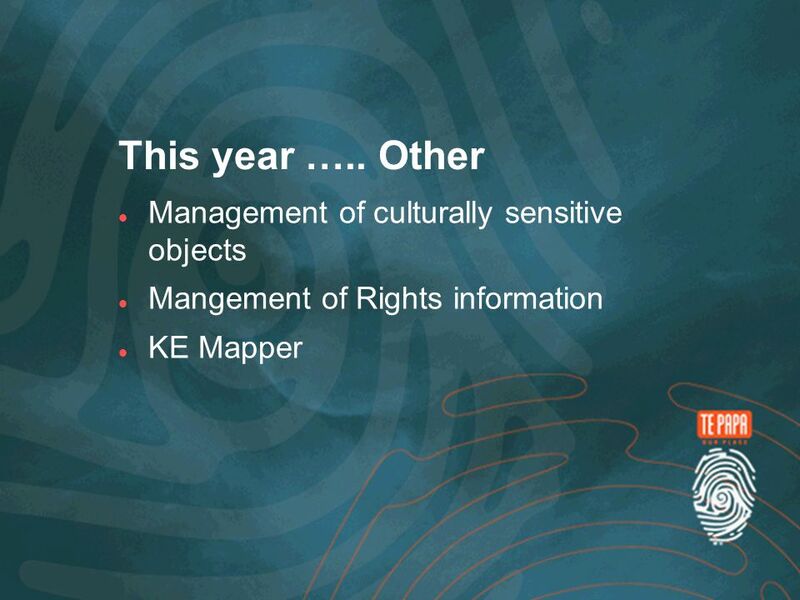 Managing Rights at Te Papa. 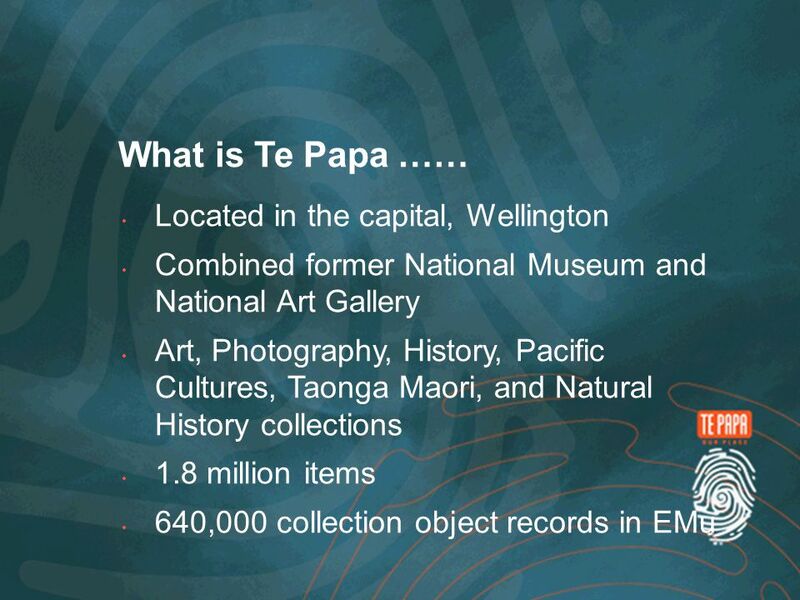 Introduction Rights Te Papa today How we got here What the Rights Module looks like Future Advances. Depends entirely on support from the user base Many technical issues still need to be resolved Long term development horizon Proposal for a Simplified. 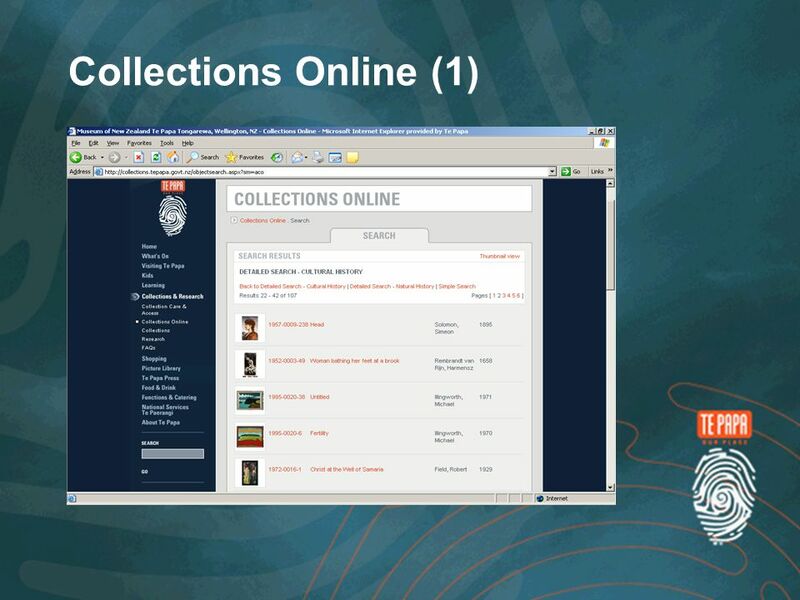 Collections Online CRM, Thesauri, Parties and more Adrian Kingston Collections Information Manager, Digital Assets & Development Museum of New Zealand.